We’ve created a special kit for convention organizers to support Magic play. These kits are available to qualifying organizers in the U.S. and Canada only. Read on for more information! Why Does this Kit Exist? 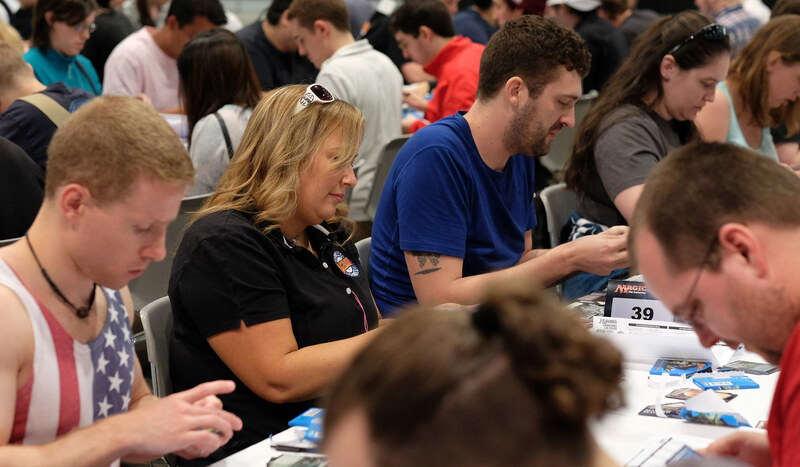 Wizards of the Coast recognizes that there are Magic players that don’t typically attend an in-store event or Grand Prix at conventions, and we want to help support Magic play at these events. Conventions are often a great way for the gaming community to get excited about their favorite games or discover new ones and bring that enthusiasm back to their home play groups. This kit helps support organizers to create awareness of Magic and inspire great Magic experiences at these events. Who Qualifies for the Kit? You must be the convention’s point-of-contact for Magic play at the event. You should be the party responsible for running the event on-site. Only conventions and organizers within the U.S. and Canada may qualify for this kit. Wizards of the Coast may verify your relationship with the convention. Supplies of kits are limited. How Do I Get These Kits?